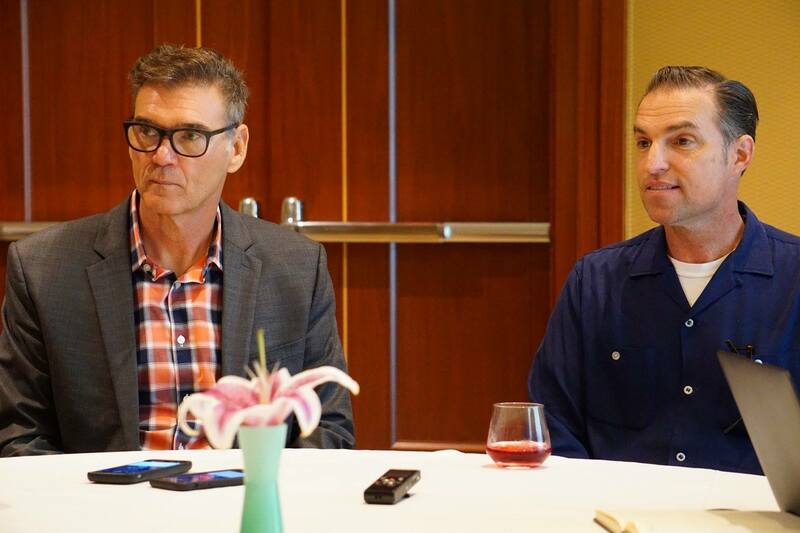 Interview with Disney PIXAR CARS 3 Creative Director Jay Ward, and actor Ray Evernham | DaDa Rocks! 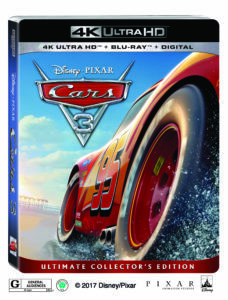 As part of our continued coverage of the upcoming release of Disney PIXAR’s CARS 3 on home video in Digital HD and 4K Ultra HD on October 24, and Blu-ray 4K Ultra HD Blu-ray on November 7, we’ve been granted insider access to some of the people responsible for bringing this work to life. JAY WARD the Creative Director of CARS 3 started with PIXAR Animation Studios in 1998 as a production assistant working in the art department on the 2001 feature film “Monsters, Inc.” Shortly thereafter in 2001 he was promoted to coordinator and began early development work on he 2006 film “Cars.” Jay already had real knowledge of the automotive world, which gave him the ability to fill various production roles, including character team manager and automotive consultant to the director and co-director. After Cars he went on to manage the art department for “Ratatouille” and “Brave.” Jay’s automotive expertise led him to become a major contributor on the Disney-Pixar feature “Cars 2,” and he was also a consultant on the creation and production of “Cars Land” at Disneyland in Anaheim, CA. He continues as a contributor to everything in the “Cars” franchise. RAY EVERNHAM (voice of Ray Reverham) grew up in New Jersey, and remembers playing with small cars in his driveway at an early age. Unlike other boys who wanted to be firemen or astronauts, Ray always knew that he wanted to be a driver or involved with cars. He started racing and working on cars at the age of 15, and spent the next 20 years as a driver, competing with the likes of Mario Andretti, A.J. Foyt, Dale Earnhardt Sr., Darrell Waltrip, and Bill Elliott. In 1992 he became the crew chief for Hendrick Racing team #24, Jeff Gordon. In 7 years as chief he led the team to three NASCAR Cup championships and 47 Cup victories, including two at the Daytona 500 and the inaugural Brickyard 400 at Indianapolis Motor Speedway. After the 1999 season, Ray retired from the crew chief position and moved on to the even greater challenge of team ownership. 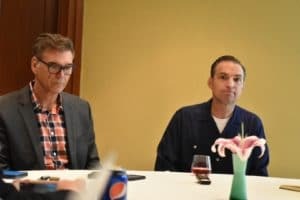 Leading Dodge’s return to NASCAR racing, Evernham was able to develop a car, engine and parts distribution program for Dodge’s entire NASCAR presence. With Bill Elliott driving, Evernham’s team won Dodge the 2001 Daytona 500 pole position in their first Sprint Cup series start in almost 20 years. Since 2007 when he sold his ownership of Evernham Motorsports, Ray has been active as a broadcast TV racing analyst with SPEED, ESPN, and NBCSN. He co-owns, co-produces, and hosts his own TV series with Rick Hendrick, “Americarna” on Velocity. in 2014 he joined Hendrick Motorsports as a consultant member of the executive management team. In 2015 he was nominated for the NASCAR Hall of Fame. Question: Can you tell us about how Cars 3 got started? 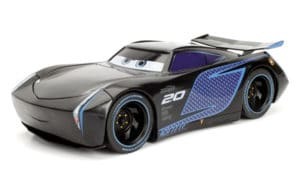 Jay Ward: We knew after Cars 2 we wanted to tell another story and we also knew we wanted to get back to sort of more the roots of Cars 1, a McQueen story. We also knew what people love about Pixar films is they love that emotional journey of a character and the transformation of a character. So that was the impetus. That was the beginning and then we thought, “Okay if we’re telling the story about McQueen he’s already a hero, he’s already great at what he does. What do we tell?” So we started with a comeback story. Kind of more like a Rocky 3. He gets knocked down by the young guy and does he get back up? That would have been great movie, easy story to tell, but what we found along the way, what was more exciting was telling a story about mentorship, and telling a story about paying it forward, and telling a story about telling somebody who had limited themselves in life. That, “No you are good enough. You can do this.” So that was how it started. Q: You guys had lot of pressure, right, to make sure that the sequel lives up to the first one and the second one? It’s almost kind of the trilogy of Cars. Kind of like a race car driver comes full circle. So how much pressure were you having to make sure that this is isn’t a dud? JW: Well it’s hard because PIXAR Films are held to a different standard, you know. There are studios that make animated part 2,3,4,5 and people are like, “Yeah it was alright.” but we can’t get away with that. People hold– for good or for bad, they hold us to a really high standard. So there’s a lot of pressure on our movies. It has to have a great story #1. Any film can look beautiful, but not any film can tell a great story. You have to feel a sense of wanting to connect with that character. Luckily we had people who had this love of Cars and this connection with Cars. It did add a lot of pressure of telling a story that was special, and that’s why our films take so long. I mean yes, technically they’re challenging, but it really is about getting that story right. No way around it. Q: Was it harder with that emotional roller coaster that Pixar always puts you on to maintain that Pixar level, but also get everything right for Cars and NASCAR and everything? JW: It’s the challenge of any of our films. John Lasseter’s big word is authenticity. Whatever world it is, it’s gotta’ be authentic. Like for Nemo people had to go Scuba Diving. They had to go under water. They had to see what it looks like to look up from underneath the water. It’s different right? For Wall-E they studied so much stuff about space and all– I mean just every film you go to exhaustive research. Including for this film, because Cars is a known world. People know it. We all drive Cars and we’re familiar with them. We can’t get away with just making stuff up. More than that, John’s a gear head. So that’s where I come in. John’s like, “I want all the details right.” My job is to get all those things right. So that the car guys go, “Hey they got that right. That sounds correct, that’s looking right.” Yet the person who doesn’t know anything about cars is like, “I love this movie. That character was so cute.” It’s got to work for both, yeah. Ray Evernham: I didn’t have that kind of input. What we did was just sit and talk a lot. We talked a lot, and the Pixar team asked a lot of questions, and I told a lot of actual stories of how things worked. It was amazing to see them take that and be able to adapt it into the characters. They would send me something and say, “But what do you think about this?” Especially with Jackson Storm. After being in NASCAR and racing so long I saw the tendencies of Cars were going right. They’re getting lower, they’re getting wider, they’re getting sharper. The aerodynamics are coming from the bottom and the tires are getting wider, and the profile’s changing. We just talked about all those things and, and they made notes, after notes, after notes and, and just kept bringing it to life. JW: Oh he did. I mean honestly. We knew Jackson Storm was supposed to look like the future of NASCAR. The idea was to make Lightning McQueen look old, which is hard to do ‘cause he looks good. He looks cool, but he had to feel like yesterday’s news all of a sudden. Like when Jackson Storm shows up it’s like, “Whoa he’s totally– this guy’s from the future.” Right? And that’s kind of like what we’re thinking about with Jeff Gordon as a Racer who Ray was the Crew Chief for. There’s one a day a young kid shows up that’s just better than you, you know. What is that like? That was in the design. So when we show designs for Ray we said, “Ray what does a NASCAR look like 20 years from now if you can make it up?” And he’s like, “You guys are on to something good.” So he did help. Q: How hard is it to find a balance in the Pixar movies that will draw in children, but the parents want to watch it too? JW: John’s always said that we don’t make children’s films. We make films that work for children and adults. If you start out by saying, “We’re going to make a great children’s film,” then that’s all you’ve made. If you make a great film, a really good film, it’s going to work for all ages. If you think back before we had a film rating system, if you go back to the 40’s or 50’s every film had to work for all ages. You couldn’t put stuff in them that you could put in them now. You can watch The Wizard of Oz as an adult or as a kid and you enjoy it. That’s what I think we strive for with PIXAR. 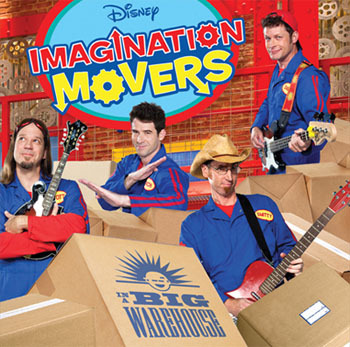 Is to tell great stories that work for all ages and you want to watch it more than once because you’re going to see something you didn’t see the first time. I have young kids, and my kids like watching movies the over and over again. So even if I’m not watching, if I’m driving them and I hearing them, I’m still laughing and still remembering things and that’s pretty special. You don’t get that with all films. 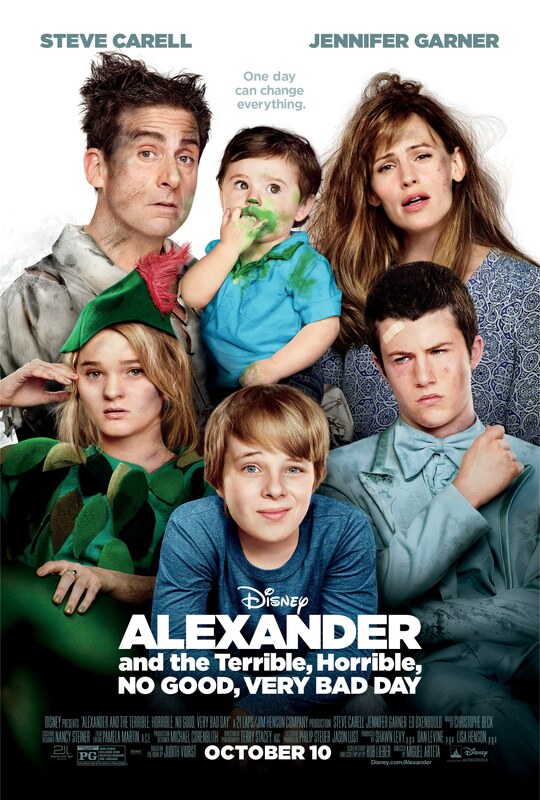 There are some kids films that we watched and even my kids will watch it once and then they’re good. 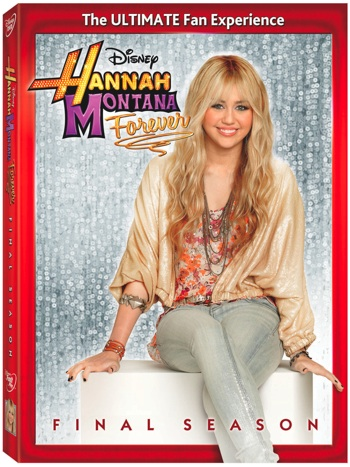 They liked it, they walked out, “Hey that was fun.” They’re not going to buy that on Blu-Ray or DVD. They don’t want to see it again because there were some alright some gags and it’s done, but a great story they want to see again and again. Q: What was it like seeing some of the stories and part of your history up on the screen? RE: It’s been a fire hose of emotions in some ways because it’s at the end of my career, and having a young child you know I got kind of a blended family right? There’s 24 years difference between my children, and my son is on the autism spectrum at 26 years old. I have a 2 year old and it just seems to be lucky enough to have been involved. This project has brought them closer together, and I understand that a little bit more. Sometimes when I watch the movies with them I learn as much myself about my career. So in some ways when I look at Lightning, you know that’s Jeff Gordon. I’ve watched him through his career. But then through this movie you know some of the lessons that Lightning had to learn about the emotion, and the relationships, and that people were more important than winning the races and the trophies. Because when that’s gone you just had stuff, without the relationship with people it didn’t mean anything. So I actually found out more about my life and my career and, and I think that, that working on this movie has helped me appreciate my adoption into the Hall Of Fame more than had I not. JW: When we started research and we went to a NASCAR race you realize how visceral it is. You see that these cars are so loud and so powerful and so impactful that you can’t help but sort of be moved by it, even if you’re not a racing fan. I also think the other thing people sort of assume is “Oh NASCAR, a bunch of good ‘ol boys going around in a circle.” It is so difficult, and it is so technical, and it is so strategic. Everything about it is strategy that you realize it’s multi-layer. Again, you can’t judge a book by its cover. And that’s what CARS 3 tells and that’s what I think the world of NASCAR is too. Don’t judge a book by its cover. Monster Jam Rolls Into New York & New Jersey!